The Duomo pendant by Tech Lighting is elegant and perfectly crafted with its artisinally made Italian hand-blown glass shade. 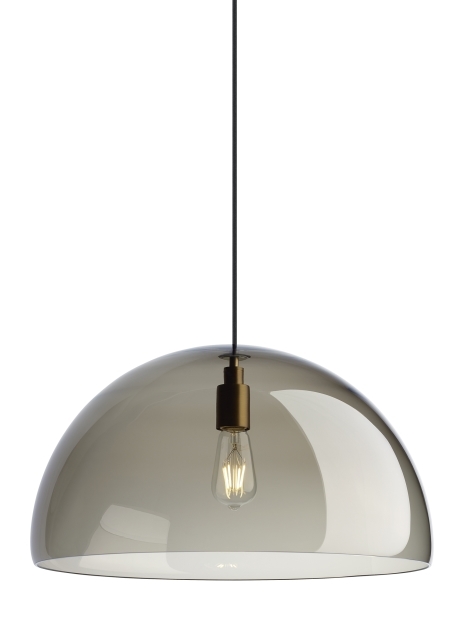 This dome shaped pendant can be combined with the Quatnik pendant for a truly futuristic, high-tech aesthetic. Further customize this gorgeous pendant by choosing from either a clear or smoke glass shade color along with a finish option of Satin Nickel or Aged Brass. At 18”in size the Duomo is ideal for dining room lighting, kitchen lighting and foyer lighting. A fully dimmable energy efficient LED lamp is available for purchase separately.